Kent Building Company – Our reputation is over the top! Our reputation is over the top! Our construction team is made up of dedicated professionals who never compromise when it comes to the quality of work. We bring the latest advancements in construction to our projects and complete the tasks on time. Our structures are art fully crafter and well designed. We also provide renovating services and make sure that your property looks brand new. Our team provides the best quality of work, and you can expect nothing less than perfection. The entire project is well planned and executed properly on time. Take a look at some of our work and see for yourself the perfect lines we provide. Our team is built upon a strong foundation of trust, and we provide you with the highest quality of service. We deliver the best service and perform strategic planning and execution of work. 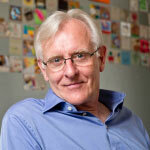 Our team is made up of experts who provide some of the best quality of work. The team is extremely professional, and we collaborate in achieving a long-term value. We strive hard in providing creative solutions for all your construction work. Maintenance of trees on your property may seem like an incidental job. However, poorly maintained trees can be a hazard to you and your home. With many fatalities and accidents relating to landscaping and trees per year, tree removal or lopping services are not to be taken lightly. Here are five reasons for why you need tree services. When it comes to the protection of your property, precautions should be taken. Any trees nearby your house can be a liability if not maintained. For example, storms can have major impact on your surrounding trees if they are weak and not maintained, which could lead to structural damage of your property. If you are expecting storms, then tree pre-storm inspections are a must. Regular tree inspections, pruning and lopping are recommended as it can prevent possible hazards to your home. 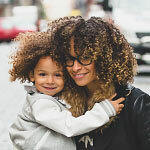 This is especially important if you do not have home insurance. While these tree removal services can prevent health and safety hazards to your property, they can also make your property look nicer. With the tree pruning and lopping services, it can remove sections of trees which are overgrown and are blocking your property which improves the overall aesthetics, therefore increasing your property value. In the competitive property market, increasing your property value can be as easy as contracting tree pruning, lopping or tree removal services to do the hard work for you. Regular maintenance with tree inspections, pruning and lopping can reduce the risk of fungi disease being spread and infecting other trees. These tree services remove the dead, weak and diseased branches which could lead to potential risks and possible structural damage to your property. Overall, tree inspection, pruning and lopping can repair and revitalise your landscape whilst improving the appearance of your property. If your property is tight on space, you may want to consider contracting land clearing,small earth works or tree removal services. With these tree services, you can effectively clear up space which leaves you with a clean landscape. This space can also be used for gardening or other reasons. By hiring land clearing and tree removal services, it can save you time and money whilst protecting your own health and safety. The removal of trees and debris can improve the space utilisation and visual appearance of your home. This also leads to the improvement of your property value. While storms are unpredictable and dangerous, there are measures that you can take to prevent further damage. If you are expecting a storm, it is highly recommended to contract a tree pre-storm inspection service to inspect your surrounding trees. Doing so allows you to take precautions to minimize or even prevent damages. 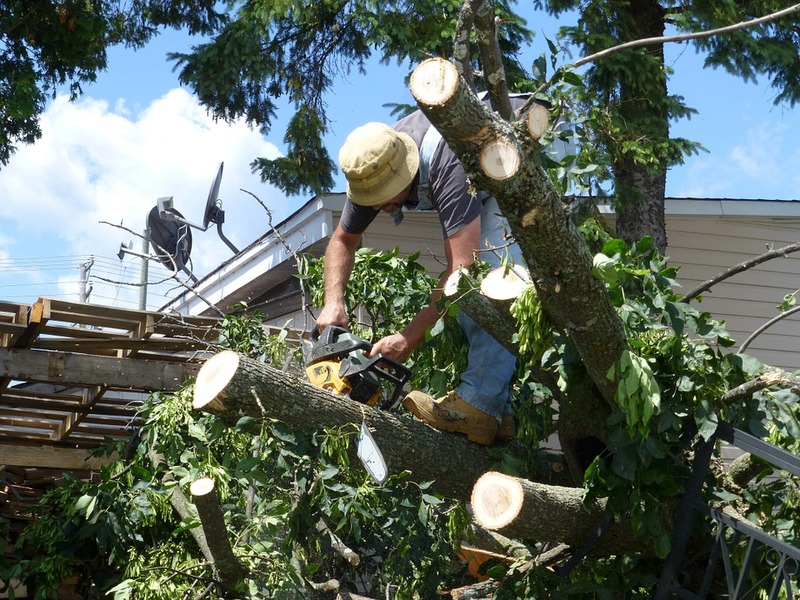 Tree pruning or lopping services can be highly beneficial in this case, as this tree service removes weak and dead parts of the tree which may not survive a storm. This reduces structural damage and debris on your property. If you require tree services or removal then please get in contact with a professional. Are you planning on painting your house soon? You should definitely have a read of this article first! A new paint job can really do wonders for your home’s look and feel. 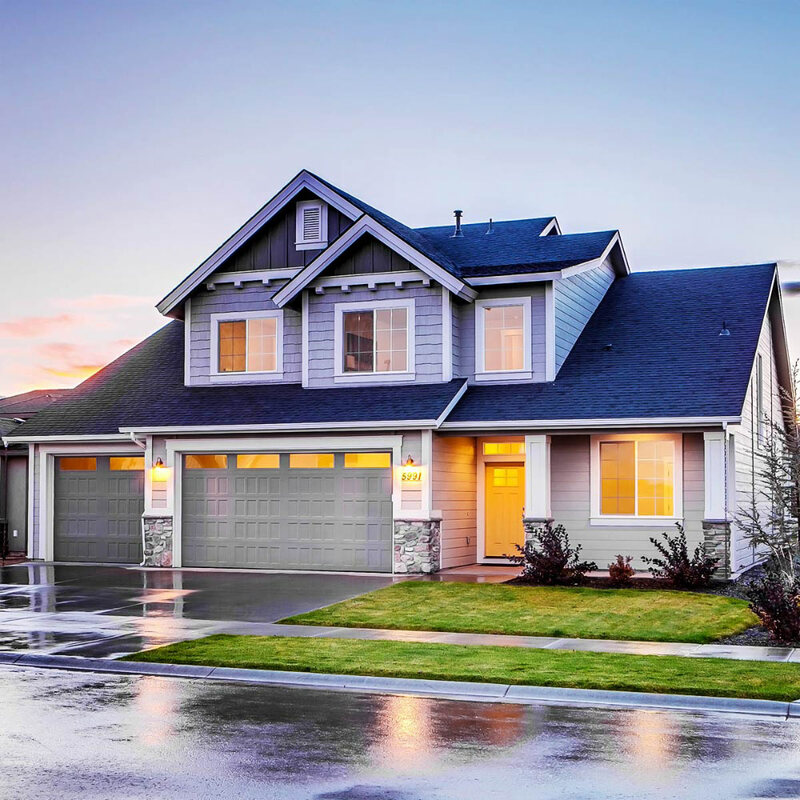 An interior paint job can bring new life into each room of the house, and an exterior job can improve your street appeal and even add value to your home. Whether it’s an indoor or outdoor paint job (or both), there are a few things to think about before jumping in and doing it yourself. Obviously, you can’t completely predict the weather, but the weather can have a huge impact on how your paint job turns out. When painting you want to pick a time that has low humidity, is unlikely to rain and isn’t too hot or too cold. Doing it on a good day can prevent your exterior paint job from blistering, flaking and peeling. If the weather on the day is too cold the paint will take too long to dry, and vice versa on a hot day. These factors can cause your paint job to have a variety of different problems. You will want to pick the right paint for the job, whether it is acrylic or oil based will depend on a few factors. Acrylic paints are easier to work with, but many acrylic paints aren’t as durable as oil-based ones. If you’re choosing acrylic for the exterior of your home, make sure to choose the right paint that is specifically for exterior painting. Oil-based paints will usually last longer, however, they are a little bit trickier to work with and can take longer to dry. The sheen of your paint makes a really big difference, and not just to the look of your home. You’ll choose between matte/flat paint and glossy/satin paint. The higher the sheen, the easier your walls will be to clean. However glossy paint can highlight imperfections like uneven drywall and dents. While imperfections aren’t as pronounced under matte paint, matte painted walls are much more difficult to clean. 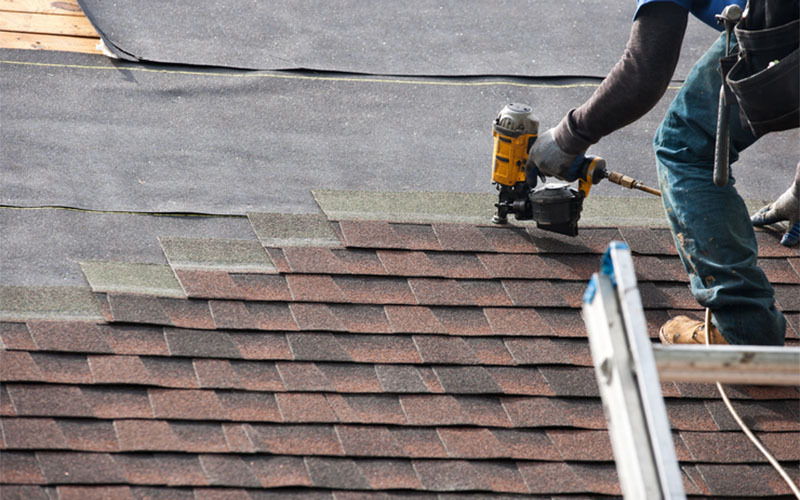 For roofs, use dedicated roof paint that is designed to last in all harsh environments. Whichever paint you decide to use, it should be of top quality to ensure it looks great and is durable. Also ensure all your surfaces have been washed or high pressure cleaned before applying and paint or undercoat. We always recommend getting professional help, for the most part, painting your house is a big investment and it will be a long lasting job. Make sure you do it right / get it done right. As your home or business carries on and maybe expands, so does nature around you. From time to time it may come to pass that you need to say goodbye to an old tree. When removing trees it does not just finish with cutting the branches and disposing of the main trunk. I am sure you’ve seen it before, the leftover stump in the ground appearing like an eyesore in someone’s garden. Well, it is not just the aesthetics that makes this stump unappealing. There exists a level of safety that must be addressed, to ensure responsible action by business and home-owners alike. Stump removal/grinding is not an easy task and I would suggest getting in the professionals to assist in this task. 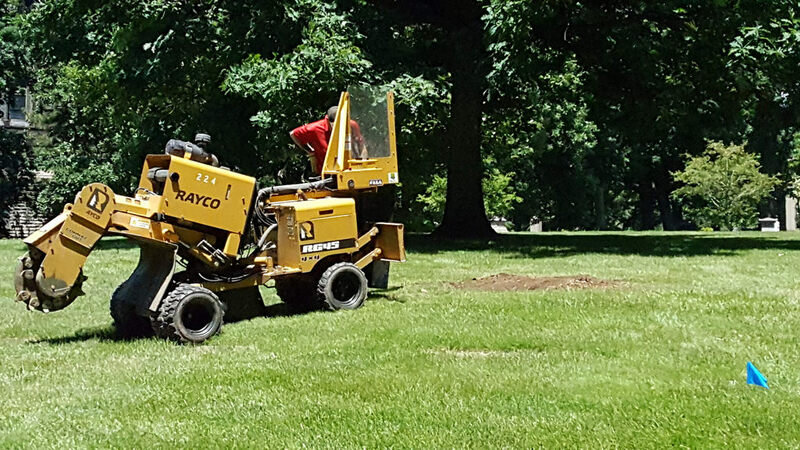 It is not always the case that a stump requires stump grinding, perhaps on a small ornamental tree, it will be possible to dig and rip out that remaining stump. However, we will be addressing the issues for where this may not be possible and the only thing left to do is grind the stump down below the level surface to achieve a safe and aesthetic look. 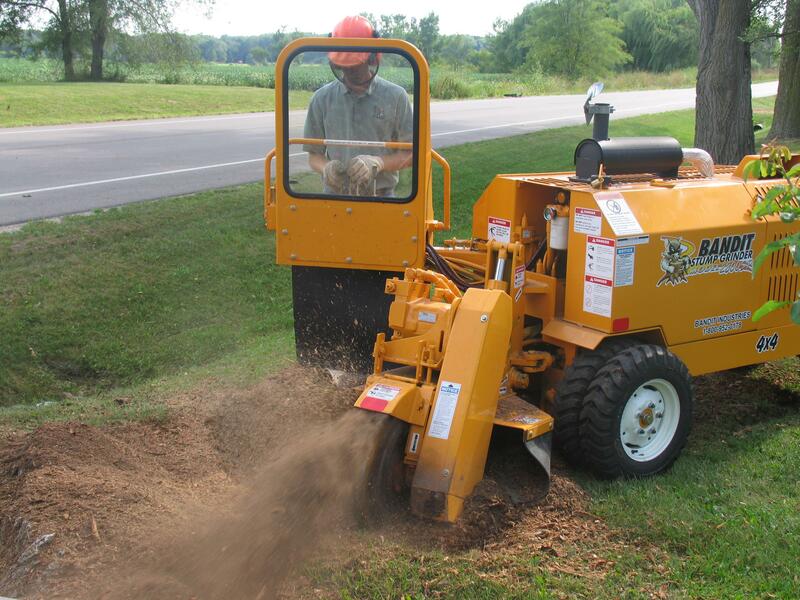 Stump grinding is the basic action of using a large specially designed grinder and grinding wheel to cut through the remaining wood and stump. The cutting wheel is designed so that it may be able to cut through the wood and soft ground, the wood will be chipped into fine pieces and when mixed amongst the dirt will offer a good source of nutrients for the lawn or garden bed. Once the stump has been ground into small pieces and completely below the level of the ground, you are easily able to rake the excess dirt and debris over the area to make a level ground once again. The mulched wood chips will assist in the healthy growth of new grass. Besides the obvious reason of the unappealing nature of the remnants of the old tree, it is important to remove it for a few reasons. Firstly, it does present a hazard for people walking around and potentially tripping on the stump. 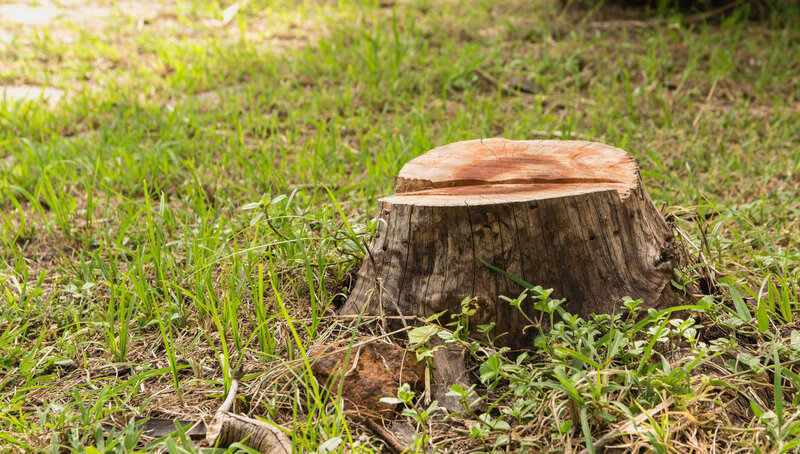 People are also in the position of danger to drive over the stump, depending on the location and cause damage to vehicles or other machinery. The stump may also harbour termites or other harmful organisms that would be left best not being attracted to your home. The best way to remove the stump is to call the professionals, who can save you a lot of time, energy and risk of having to take on the task. They are prepared, experienced and have all the right equipment to get the job done quickly and efficiently. Do not leave your stump to rot and gather all sorts of problems. The task is a difficult one if never completed before and without the knowledge. Once the experts have come in and removed the stump you may return to tending to the well-flattened ground and be proud of the garden you have. Check with your local electrician to make sure that not underground power will be affected when digging or removing large root structure around your house. A flat roof has a very low angle of inclination (around 10°), that too, to ensure proper drainage of water. This kind of roof gives you ample space, and you can install your solar panels or even have an open terrace upon it. Flat roofs are perfect for homes located in arid climates. If you love the eco-friendly stuff, this one’s for you! These are V-shaped roofs, extremely eco-friendly, keeping your home cool. They are expensive owing to their complex structure. But again, you’ll save a lot on those electricity bills. Apt for high drought areas, as these roofs provide the option of Rainwater harvesting too. This is the most modern design incorporated into the roofing system. 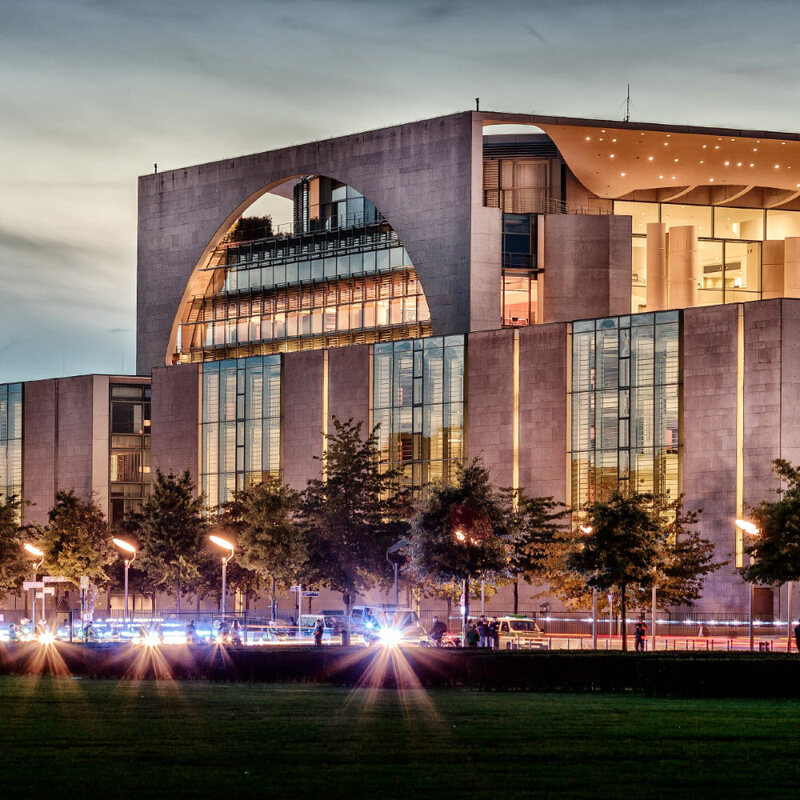 It looks more or less like a military bunker, only more polished and colourful. They are arch-shaped and give a different dimension to your home. Perfect choice for snowy and rainy areas. You must have come across gable roofs in the good old Classics ( Anne of Green Gables). Giving a defined and elegant look to your home, these roofs are simple and cheaper than most other alternatives in roofs. They are great to drain off heavy snow and rainwater. You need to take care while fastening them though; else they cannot withstand stormy winds. These roofs give you ample of space utilisation below them. Apt for snowy and heavy rainfall regions. Hip roofs have slopes on all four sides. These slopes then come together at the top and form a ridge. 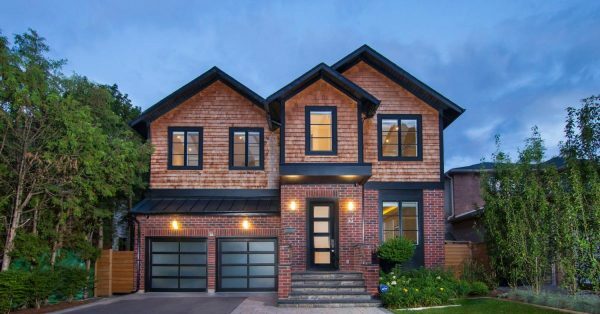 Hip roofs are considered to be a better alternative to Gable roofs, in terms of durability and sturdiness. Suitable for highly windy and snowy areas. These roofs have a typical charm, which they pass on to your home too. They are super space savers because of their structure. They have a conventional structure, with a double slope and the lower one is steeper than the upper one. Not ideal for areas with excess rainfall. Gambrel roofs are also known as Barn roofs. They have a look that’s similar to Gable roofs, but they cannot sustain strong winds, snow or hail storms. Typically suitable for dry and arid climates and should not be opted in case of extreme weathers. You can also choose a combination of two or more of the above. It gives your home a different dimension altogether. Two or more roofs which go great with each other, both look-wise and weather-wise are great to go! 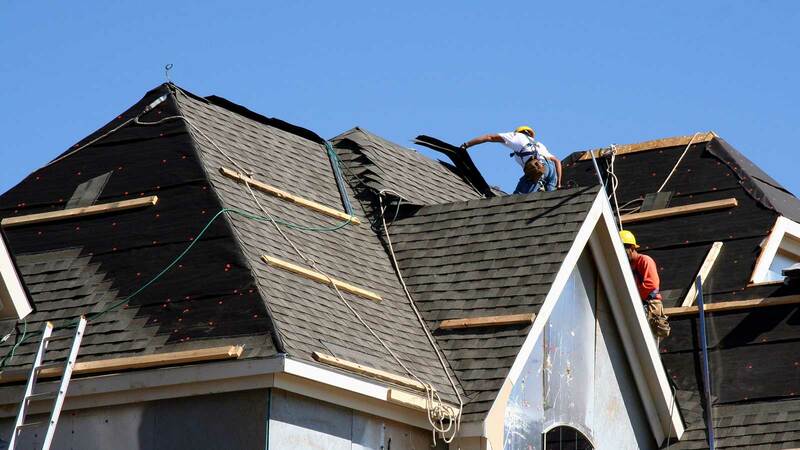 Research well and choose a roof keeping in mind the climate, and also the overall look of your home in mind. Owning a home is definitely one of one of our life goals. 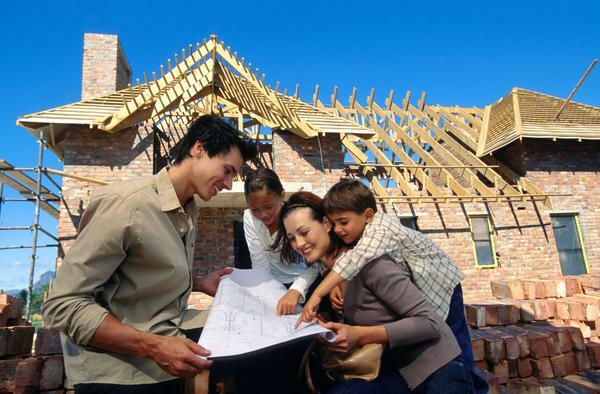 While most prefer outright buying a home, many prefer building their own home. And personally, if given a choice, building your home is anytime better. You get to do things your way, and your home then turns out to be a reflection of your personality! If you’re considering building a home, we have put up a few things that you need to know before finalising anything: Build will require the services of many tradesmen, such as carpenters, electricians, plasterers, painters, plumbers and many other specialists. You are taking a huge decision, so you have to be prepared in all ways. Building a home is a time-consuming process. You need to put in all your think tank, energy and time into everything – right from planning to supervision. Also, be prepared for tightening of your budget for other expenses, because estimates are ‘Estimates’. They’re not the final budget; they are just approximate numbers. And the actual costs always run into higher than estimated. So be frugal. The person whom you hire should be able to comprehend what your plan is. You are building your home because you want it your way. So make sure you catch hold of a builder who understands this well. Also, keep track of the past work done by the builder, before you zero down on him. Make sure he uses proper materials, and the overall construction quality is up to the mark. You could even consider getting help from a professional designer who will be in a better position to put your ideas on the paper. Plus, considering their experience in this area, they will also have a lot of value- additions to make. If you’re comfortable doing it yourself, that’s great too. When planning itself, consider building your home in an eco-friendly manner. It may be slightly expensive at this stage, but think of the amount you’ll save on electricity bills later! And hey, you’ll be doing your bit towards conserving the environment. Win-win situation! Make a checklist for each stage of the building process. And make sure you maintain this list and keep adding things as and when you remember them. This will help you understand what’s done and how much is still undone. Try to get an overall picture of what you want at the beginning itself. For example, clearly chart out the location of the cabinets, other furniture, electronic devices, gadgets and other things at the beginning itself. The more sorted you will be at the start, lesser the chaos will ensue later! No matter how well you plan, misjudgements and mistakes will happen! But don’t fret over it, something good always comes out of these mistakes. Who knows your mistake may end up looking better than the original plan! Building your home is a journey – full of ups and downs. But it’s a thrilling one because, at the end of it, you’ll be watching your most cherished dream turn into reality! 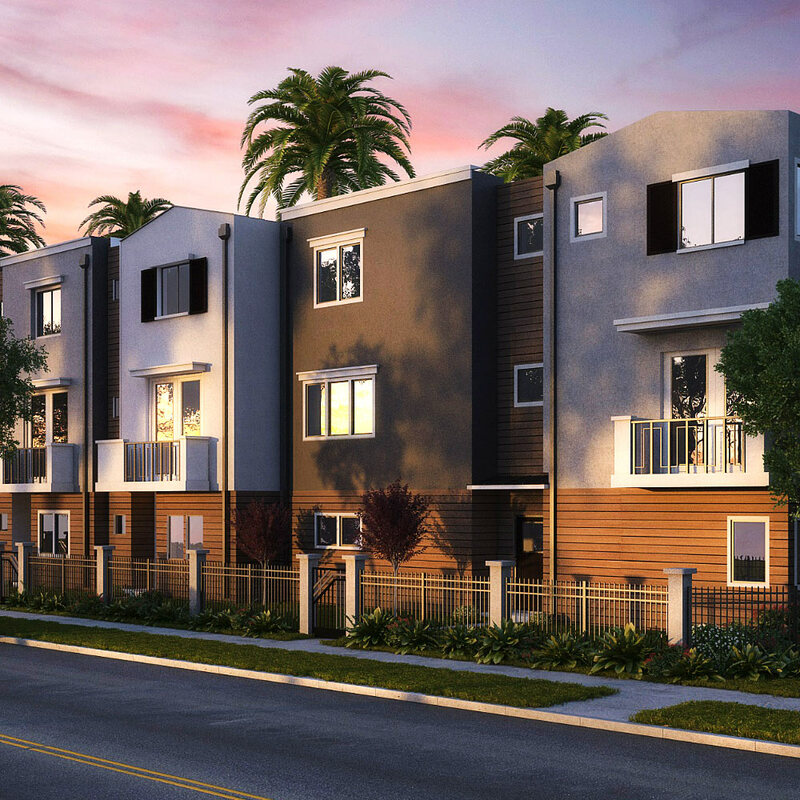 With our unmatched construction work, we offer our clients some of the best designs at an affordable price. We also have trusted partners with leading companies who help us with various construction works. Our team is committed to exceeding the expectations of our customers, and we build a relationship which will last forever. Our structures are built in such a way that it inspires others and we also maintain a high quality of work. Copyright © 2018 kentbuildingcompany.com. All rights reserved.